Will Spain's Bernie Sanders be a power Broker in wake of Elections? Will Spain’s Bernie Sanders be a power Broker in wake of Elections? Although Spain’s two big parties technically remain the largest after this year’s general election, they find themselves in a radically transformed political landscape – and neither has a clear mandate to govern. The Popular Party (PP), which secured its best ever result in 2011, winning 186 parliamentary seats out of 350 and a comfortable overall majority, lost a third of its votes and 63 seats. This is its worst result in over a quarter of a century. It nevertheless remains Spain’s largest party, far ahead of the socialist PSOE. While its leaders must be relieved to retain their position as the country’s second largest political force, the PSOE’s long decline hasn’t reversed. In 2011, it faced its worst ever result since democracy was re-established in the early 1980s, winning just 110 seats; it has now lost another 20. Percentage-wise, the PP and PSOE together won just over half of the total vote (50.74%). But in 2011, their combined vote was 73.35%. Tellingly, the “victorious” PP won almost exactly the same percentage in 2015 (28.72%) as the PSOE did when it was routed in 2011 (28.73%). That the largest party can claim “victory” with such a small share of the vote shows the scale of what’s happened to the Spanish political system. The party which undoubtedly has most reason to feel satisfied with its result is Pablo Iglesias’s Podemos. Though founded less than two years ago, Podemos has now won a remarkable 69 seats and 20.66% of the vote – just 1.36 points behind the PSOE. Its strategy of promoting electoral coalitions in Galicia (En Marea), Valencia (Compromís-Podemos-És el moment) and Catalonia (En Comú Podem) appears to have paid off, and it has become the largest party in Catalonia – which may well have significant consequences with respect to the region’s ongoing push for independence over the next four years. Leader Pablo Iglesias’s decision to shun the advances of Alberto Garzón’s long-established United Left (Izquierda Unida) in the run-up to the election also appears to have been wise: that coalition won just two seats, hovering once again on the verge of extinction. The other newcomer to the Spanish national stage, the centre-right Ciudadanos, led by Albert Rivera, seemed to lose momentum towards the end of the campaign, but it can still take some heart: it won a respectable 40 seats, and will be a key player in any future PP-led coalition government. That’s still a considerable achievement for a party which only became a national player beyond its Catalan heartland towards the end of 2014. It’s now on the PP as the largest party to seek agreement with other political forces in order to form a government – and that won’t be easy. Although Ciudadanos seems like the PP’s likeliest ally, the parties’ combined seat tally is still 13 short of the 176 required for an overall majority in the 350-seat lower house. 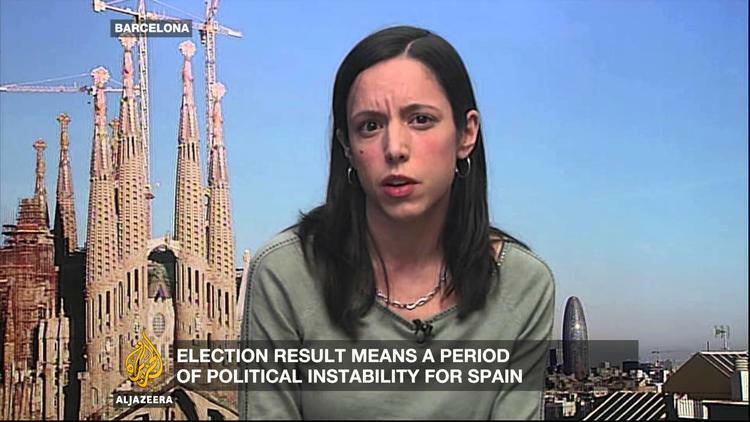 Worse still, this shortfall can’t easily be made good by approaching parties outside of what can now be described as the “big four” of the Spanish party political system, such as the Basque Nationalist Party (six seats) and the Canaries Coalition (one seat). An alliance with the Catalan nationalists of Democràcia y Llibertat (Democracy and Freedom) – who lent their solid support to a minority PP government between 1996 and 2000 – is now extremely unlikely, given the party now demands outright independence for Catalonia. It remains to be seen whether Mariano Rajoy is the person best equipped to put together a viable government under these circumstances. A left-wing coalition is even less practical, since the PSOE and Podemos have just 159 seats between them. No doubt further support could be sought from smaller parties, but it simply wouldn’t be enough to obtain an overall majority. Sánchez’s future as PSOE leader is in any case hardly guaranteed, since it was suggested throughout the campaign that if the party lost any more than 20 seats it might demand his resignation. He can at least argue that under his leadership the PSOE was able to stave off the substantial threat from Podemos – no mean feat given how spectacularly effective that party’s strategy has proven to be. Then there’s the possibility of a PP-PSOE “Grand Coalition”, similar to that forged by the CDU and the SPD in Germany. It’s not likely, but it will no doubt be mooted over the coming weeks (or even months) as the parties try to prove that Spain can still be governable despite these spectacularly fragmented result. One thing’s for sure: whatever the makeup of the government which emerges, it will be surprising if it manages to remain in office until the next scheduled election in four years’ time.